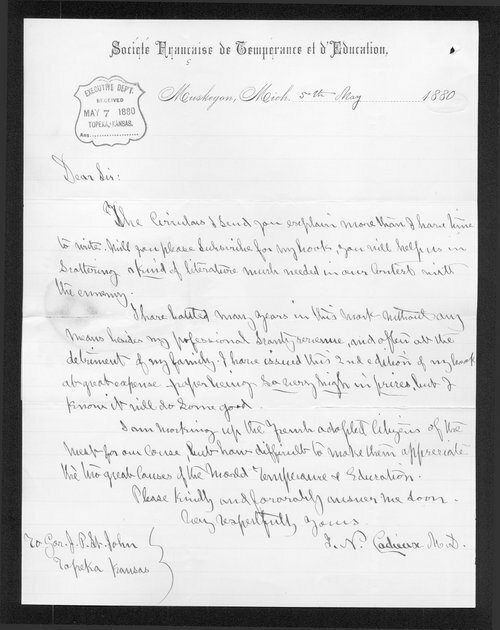 In this letter, author and physician J.N. Cadieux of Muskegon, Michigan, has authored a book, presumably on temperance, and asks Kansas Governor St. John to "subscribe for it." Cadieux labels "Temperance and Education" the two great causes of the world.